Hepatocellular Carcinoma is a type of adenocarcinoma, the most common type of liver tumor. 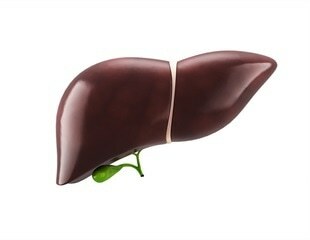 Hepatocellular carcinoma is a long medical name for the most common form of liver cancer, a malignancy whose incidence has nearly doubled over the past decade, making it the fastest growing type of cancer in the U.S., and the third-leading cause of cancer-related death worldwide. Liver cancer remains a major problem in healthcare globally, being the second most common cause of cancer-related death globally. Researchers at A*STAR's Singapore Bioimaging Consortium have discovered that branched-chain amino acids in tumors can be targeted to prevent and treat cancer. Together with collaborators from the United States and National Cancer Centre Singapore, they found that some cancers potently suppress the catabolism (breakdown) of BCAAs. Jun Ho Lee, a doctroral student in Life Sciences at UNIST, has been named as a recipient of Merck's 2018 Life Science Awards in Tumor Biology, receiving the grand prize of $10,000. Merck, the vibrant science and technology company, recognized three graduate students who have demonstrated innovation in life science at an awards ceremony at the company’s global headquarters in Darmstadt, Germany recently. With an estimated twenty-thousand protein-coding genes in the human genome, pinpointing a specific gene or pathway responsible for a particular disease can be like finding a needle in the proverbial haystack.